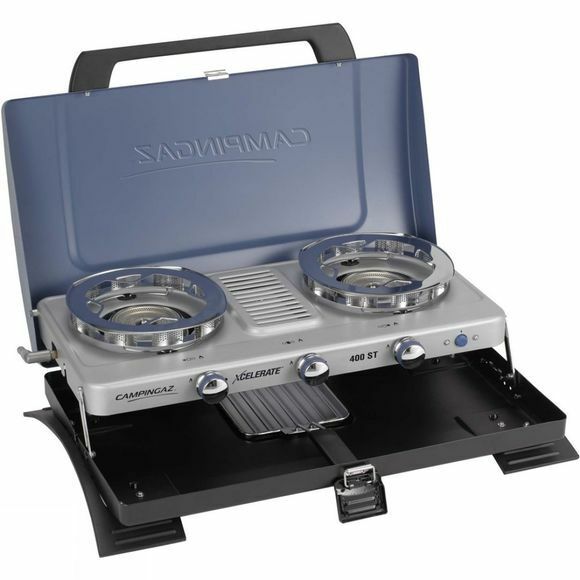 The 400 ST Double Burner and Toaster from Coleman is the newest innovation in camping stove technology. The 400 ST stove’s two powerful and independently-adjustable Xcelerate burners allow you to heat a kettle and saucepan simultaneously, while the additional infrared grill is perfect for preparing toast or grilling. Ultra-fast boil times and superior gas economy in breezy conditions are guaranteed thanks to the stove’s innovative Xcelerate Technology. The patented Xcelerate burner technology features a lower, more wind resistant, higher performance flame that produces results unmatched by regular burners. Downward "stepped" design creates an increased heating surface area. The patented pan support technology creates a barrier around the burner that provides superior wind deflection. Wind is redirected and cannot enter the cooking area. 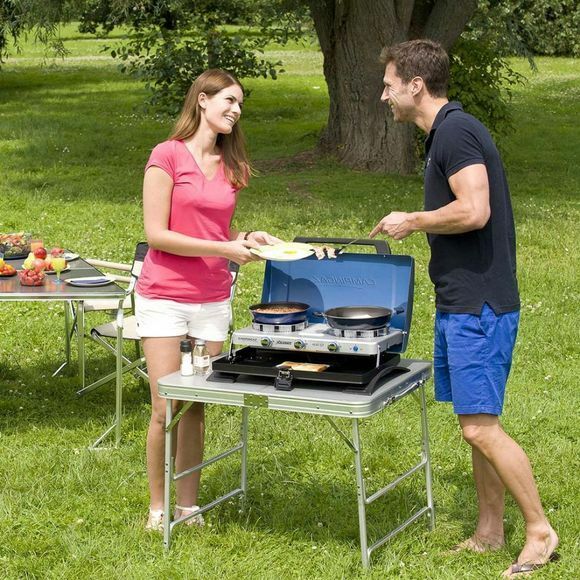 Together they provide the ultimate wind resistance for your gas stove flame, reducing gas consumption and the time you spend cooking, giving you more time for recreation in the outdoors. Housed inside a sleek and portable exterior, at the end of your trip the stove can be instantly folded away for easy transportation.